Our christmas casino is an great way to entertain your guests if you are a venue hosting large corporate events or a restaurant looking for after dinner entertainment or you are a company organising a work event. A fun and exciting way to celebrate the festive season! 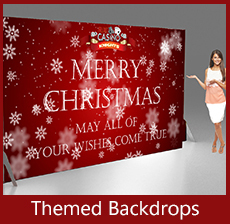 At A K Casino Knights we have personalised christmas layouts. Hire our roulette and blackjack christmas themed tables for that extra special christmas event. We have limited availability with the christmas casino table layouts. So book now for the festive casino table feel!